Alina, a pale, lonely orphan, discovers a unique power that thrusts her into the lavish world of the kingdom's magical elite - the Grisha. Could she be the key to unravelling the dark fabric of the Shadow Fold and setting Ravka free? The Darkling, a creature of seductive charm and terrifying power, leader of the Grisha. If Alina is to fulfil her destiny, she must discover how to unlock her gift and face up to her dangerous attraction to him. But what of Mal, Alina's childhood best friend? 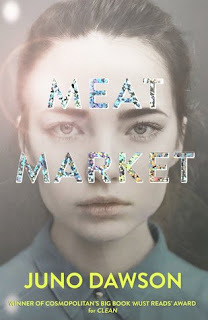 As Alina contemplates her dazzling new future, why can't she ever quite forget him? 5 Words: Fantasy, magic, evil, betrayal, love. As I read this, I wasn't sure if I liked it. It's not that it's bad, it's just that I couldn't decide what I thought. I think this is one of those love/hate books and I could see both sides of the argument. So I was a little torn, but by the end I knew that I'd loved it. Some bits of this book frustrated me. Really frustrated me. And some bits were a bit predictable. And some bits were a bit "I've read this before". But I really enjoyed it. I read this book quickly, even around my working hours. It was an easy story to fall in to, to get lost in. For every little thing that annoyed my about Alina, there was something in the story to redeem her. For everything thing about Mal that made me sigh in frustration, there was something that reflected well on him. I liked the ending, how this could easily be read as a standalone. Not that that will happen. I'll be reading on. 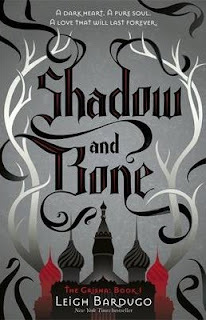 This is a UK only giveaway of a signed copy of Shadow & Bone by Leigh Bardugo.